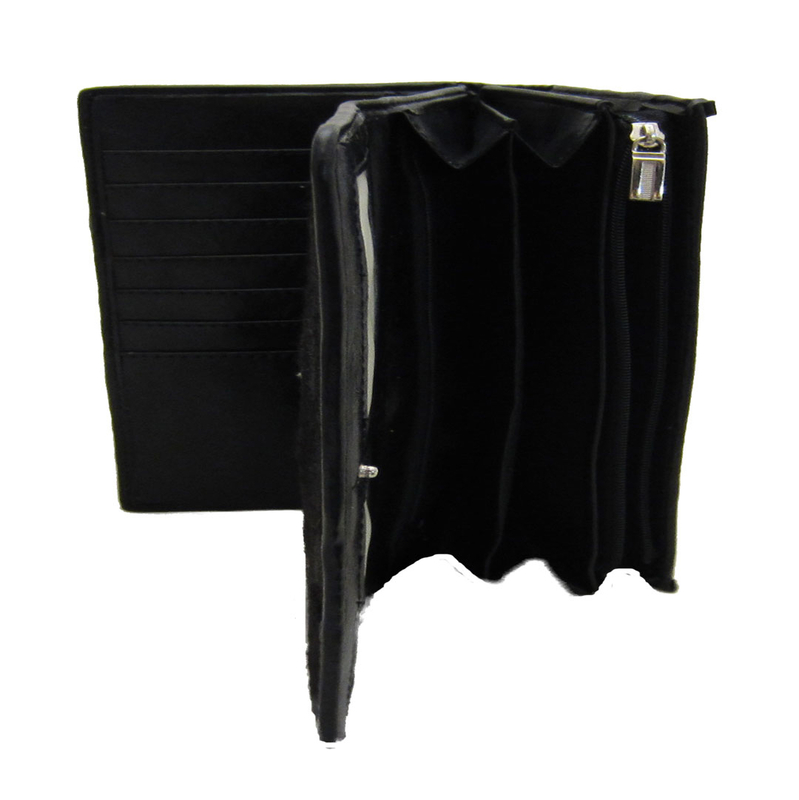 This gorgeous genuine leather wallet is covered in genuine calf hair. 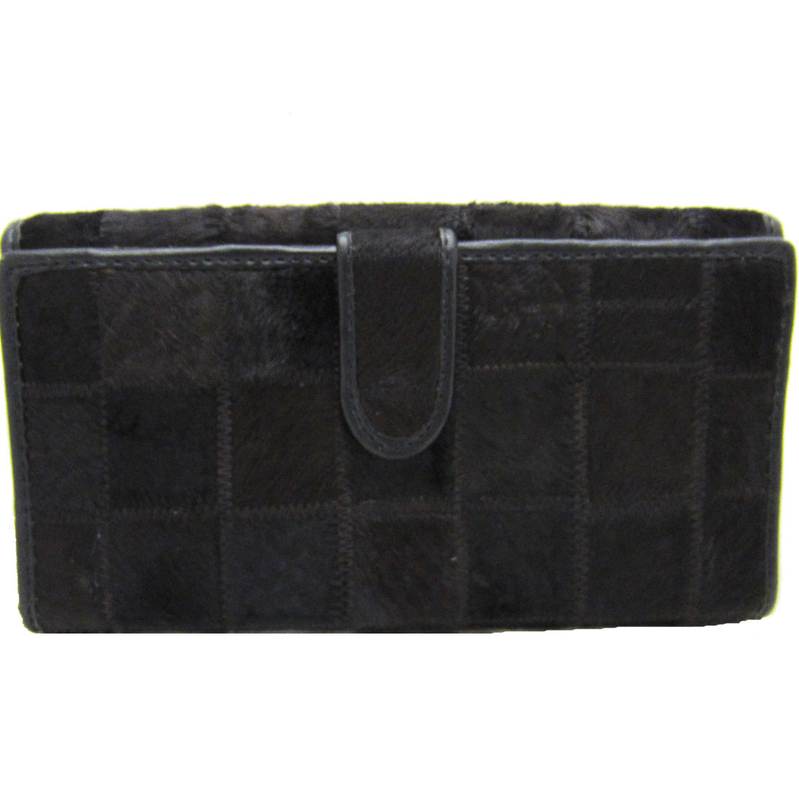 It is a clutch style wallet which is stylish and practical. It has 18 credit card pockets, dual pocket coin purse, two interior pockets, zipper pocket and two I.D pockets. The craftsmanship in the detail on this bag is top notch and unmatched. Optional shoulder chain included. (22" drop). One full length storage pocket. 14 Credit card slots (on one side of wallet). Four additional credit card slots (on other side of wallet). Finding trendy wallets is no easy task and thus, we take pride is offering only the most unique leather, patent leather, and exotic leather wallets.